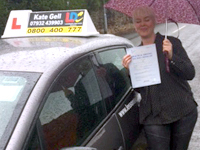 I've been delighted with Kate's LDC driving school from start to finish. Her expertise and guidance has been fantastic. Always clear, concise and professional, yet makes every lesson a fun learning experience. 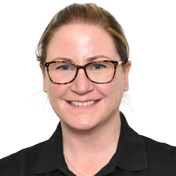 The LD System itself has been extremely informative and helpful in guiding me through the course, the workbook and DVDs have been such an added help – reflecting after the lessons, making notes and using the LD System has ensured a successful test outcome on the first attempt for me. I would definitely recommend Kate and the LD System to anyone. Thanks for all your hard work and support Kate, I've thoroughly enjoyed your lessons and the whole process of learning such a valuable skill, which will literally be life-changing for me. Thank you so much!